Sara is in her second year of high school and she’s been following French classes for the second year as well. In the last week before the holidays, her French teacher treated the class by letting them watch a film, and Sara was so impressed with it that we watched it as a family during the vacation too — and we were all equally charmed by it. 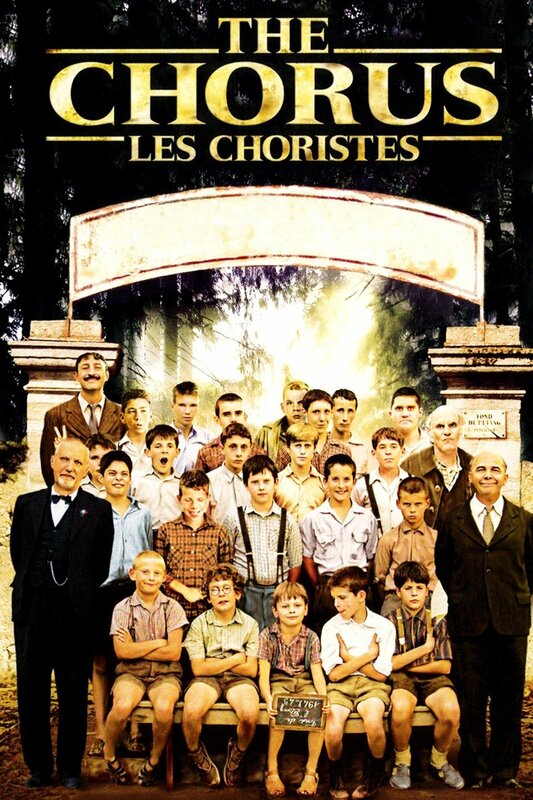 The film is called ‘Les Choristes’ (The Chorus, 2004) and is about a boarding school for ‘difficult’ boys, set in the French countryside in 1949. The school’s headmaster is extremely strict, mean even, and the boys struggle in their depressing surroundings. One day, a new teacher comes to the school and he assembles a choir, which leads into a total transformation of the children. This film is about talent, chances, and positivity, and how one person can make a considerable change in one’s path of life. If you haven’t seen it, do watch it. It is just absolutely wonderful and I can’t recommend it enough. Great for children aged 8 and older, I would say. , it’s a classic “school film” that all classes have to see, like Intouchables as well! The only disadvantage of Les choristes is the soundtrack, that gets in everybody’s head for at least a week, haha! However, I’m surprised that Sara has seen it in her second year of French already, impressive!